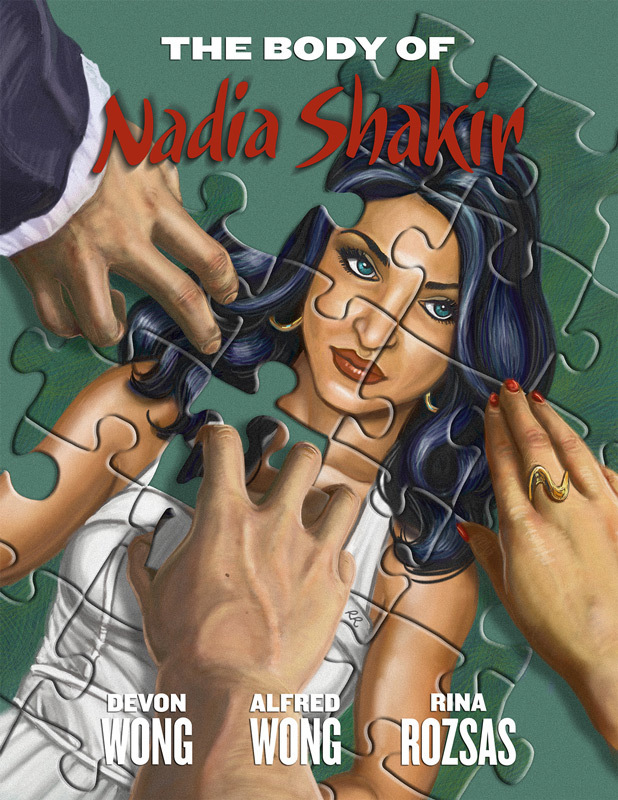 The Body of Nadia Shakir - the completed cover! I finished the cover for my friend, Devon Wong. His story and first web comic is called The Body of Nadia Shakir. He created it in collaboration with his father, Alfred. They are both quite talented so I recommend checking it out. You can find the full comic at either vignetteproject.com or nadiashakir.smackjeeves.com. Initially, I was going to paint it in a cell-shading style but Devon asked to go for a more 50's poster style and here is the result. This is my first painted portrait in years and I was quite pleased with how it turned out. Thanks for looking.